Once registration has opened, please visit the website homepage to get started http://beamsvilleminorbaseball.com . Use your same account info from last year to log in, or create a new account if you are a new user. We play hardball, which means we use a MLB sized baseball. Rally Cap uses a tee, while Rookie Ball makes us of a pitching machine throwing the ball at 35-40 MPH. Mosquito and older is player pitch. See the Rules & Regulations link to see specific details for each division. Beamsville Local League plays in the Niagara Interlock. 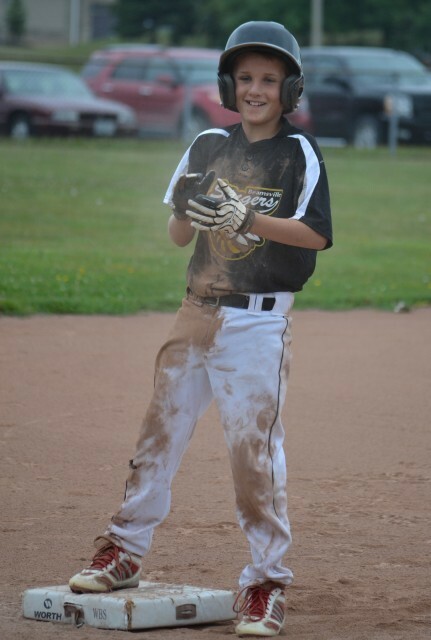 We play under the general guidelines of Baseball Ontario, however Niagara District uses some slightly different playing rules. This season, Beamsville will field Rep Teams in the Rookie, Mosquito, Peewee and Bantam divisions (Bantam yet to be confirmed by NDBA - updated 20 Jan 2019). Travel Teams play the regular season within the Niagara Region and conclude with a Labour Day Tournament against other teams from all over Ontario within our Classification. There is also potential to do a Select Team for every division, but it will be based on demand and whether the other towns also organize teams. Local league registration fees includes a hat and shirt. Pants are not supplied, however, we encourage everyone to purchase their own grey pants. Most Local League divisions will play in the Niagara Interlock includes teams from St. Catharines, Thorold, Welland, Pelham, (and sometimes Niagara Falls and Port Colborne depending on the division).